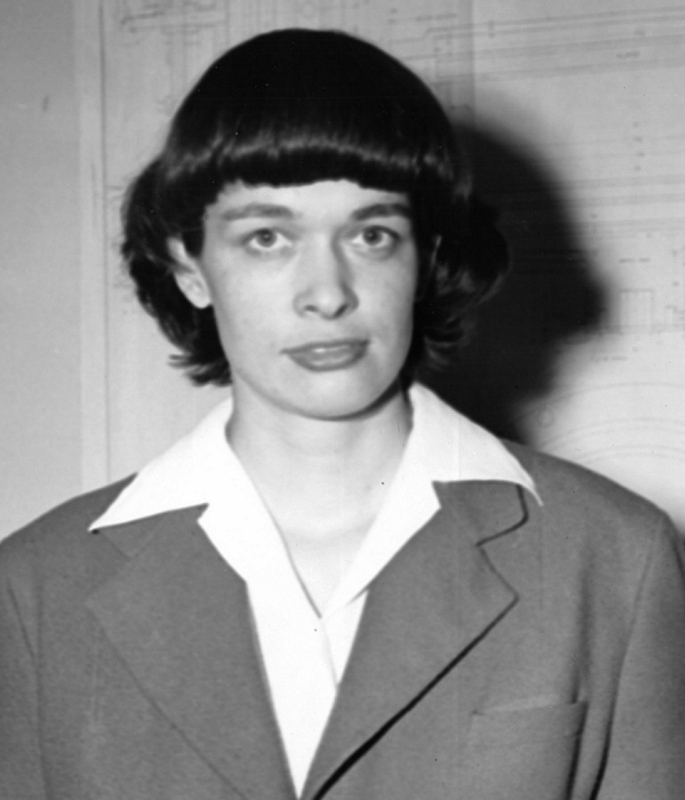 Leona Woods, later Leona Woods Marshall and Leona Marshall Libby, was perhaps the most well-known woman scientist working on the Manhattan Project. She was born on August 9, 1919 in La Grange, Illinois. She received her BS in Chemistry from the University of Chicago in 1938, at the age of just 19. After completing her graduate thesis, she was hired at Enrico Fermi's lab, and was present when Chicago Pile-1 went critical. In July of 1943, she married John Marshall and shortly thereafter became pregnant with their son, Peter. Marshall wore baggy clothes to hide her pregnancy so that she would not be forced to stop working while she was pregnant. After Fermi's team relocated to Argonne, Marshall helped oversee the development of reactors at Hanford. She was on hand when the B Reactor shut down after being "poisoned" by Xenon-135, and worked with the rest of the reactor team to resolve the problem. After the war, she returned to Chicago and served as a fellow at the Institute for Nuclear Studies. She later did further work in a number of laboratories studying particle physics, and published more than 200 scientific papers and several books. She died on November 10, 1986. For more about Leona Marshall Libby, click here. 1919 Aug 9th Born in La Grange, Illinois. 1938 Received a BS in Chemistry from the University of Chicago. 1942 Joined the Manhattan Project at the Metallurgical Laboratory at the University of Chicago.